I was a bit apprehensive to read a YA book, being a woman of almost 30, but I did anyway because I love Ahsoka Tano and Star Wars. If you are one the fence about reading YA as an adult, please don’t hesitate to buy and read this book. While the language is clean and simplified for a younger audience, the themes and story is quite adult–much like the Clone Wars and Rebels series. Ahsoka illustrates a bleak galaxy in the shadow of the Empire, and explores themes of grief and finding one’s purpose against all odds. A coming of age tale in space, if you will. Some of Ahsoka’s lines felt a tad out of character, but I can only chalk that up to the fact that we’ve never really seen her as a solo, emotional being (with the exception of her ordeal and trial at the end of the Clone Wars series.) We’ve only ever see her in contrast, or compared to, her Jedi counterparts, as well as politicians and clones. Ahsoka thoughtfully explores how “Lady Tano” navigates her way through the fledgling but brutal Empire-ruled galaxy, all with a new persona. 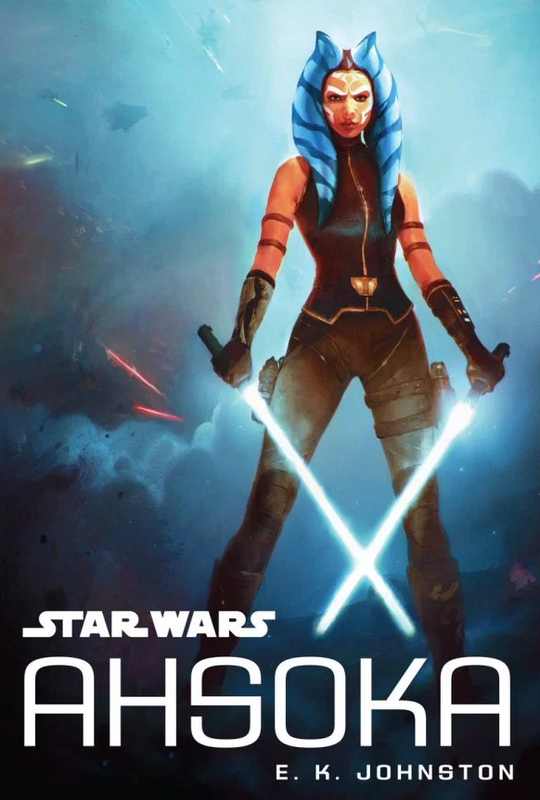 It is also worthwhile to note that the book doesn’t solely focus on Ahsoka, but introduces us to a few new characters who help Ahsoka realize her continued worth to a galaxy in peril. -I think this story was limited by the YA genre in that it couldn’t delve as deeply as I would have liked into the events taking place between Ahsoka leaving the Jedi and Order 66, as well as the full extent of her emotional state during this tumultuous period. I understand, however, that it made sense for Disney to make this book YA because Ahsoka has a lot of young fans. -Stemming off my previous comment, I wish this book had been longer. And it could have been if it had explored events, themes, and Ahsoka’s emotions deeper. Again, I understand it couldn’t be too long because it is YA. I just hope we get another book, or perhaps a comic series, that isn’t as restricted by the rules and conventions of the YA genre.